Falls Church’s Matthew Martz was 5 years old when he began tickling the ivories and humming beat for beat songs he’d only heard once before. Now, he just sticks to “trombone, guitar and a little bit of drums,” he told the News-Press, humbly. Multiple instruments aren’t the only thing the George C. Marshall High School senior, now 17, is juggling. Aside from working three days a week as a manager at Ledo Pizza in Falls Church, Martz conducts the self-created, 35-member Student Symphonic Orchestra of Fairfax. High school instrumentalists from Marshall, McLean and Thomas Jefferson gather inside the Teen Center at Redeemer Lutheran Church, where Martz serves as a council member, to practice two hours every Sunday. From a 12-minute suite tribute to movie music master John Williams, to Harry Potter themes, Martz and company jam at their own pace, devoid of teacher oversight and most importantly, any pressure to compete for the seat above them in a playing test. “In school, it’s so competitive. It’s a lot like sports in the sense that if you’re not the best of the best, then you’re unhappy. Here, I want you to be happy and if you’re not, I’m not doing my job right,” said Martz. Laughs filled the gaps during last Sunday’s practice, as students let off steam in between minor tone glitches before picking right back up where they left off. Clarinet player and 17-year-old Marshall student, Vince McLeese, was asked by Martz personally to join and has since been impressed with the feel-good atmosphere he’s witnessed. 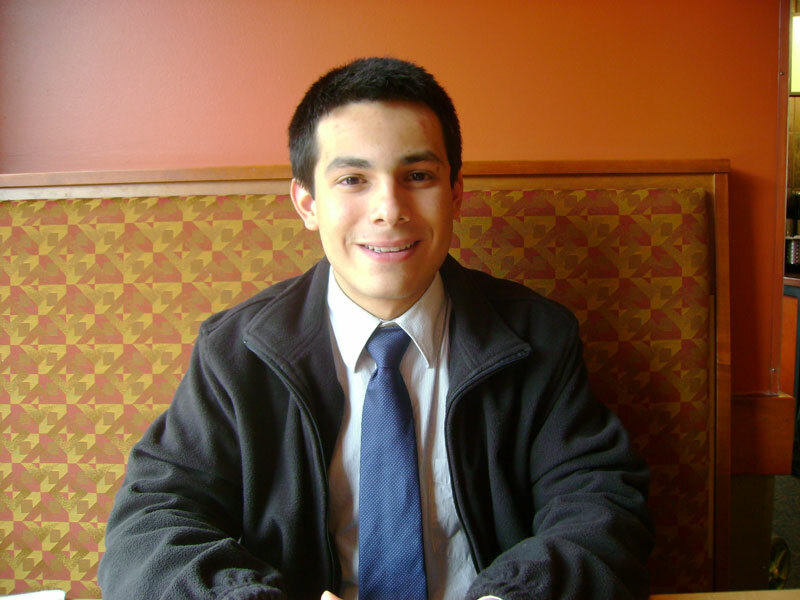 “The coolest thing about it being run by students is that we’re all here because we want to be. Matt took in everyone who wanted to join. There’s much less pressure than playing in class,” said McLeese. The idea came to Martz last December when he asked his orchestra teacher why the school’s brass quintet was only playing one or two gigs a year and was told times were tough for shows. Encouraged that Marshall’s advanced orchestra received the highest possible rating across the board from judges at the 2008 VBODA (Virginia Band & Orchestra Directors Association) District XII Orchestra Festival, Martz decided to take matters into his own hands and form his own symphony. A trial practice was held with 12 of his friends from band, but it soon became apparent that more string players were needed to balance the instrumentation. Fliers were drawn up, band directors at other schools were contacted and soon word of mouth rallied a sufficient assembly. Martz took things a step further by working directly with music aficionados from the Kennedy Center, National Theatre and Falls Church-based Foxes Music. All were willing to help in any way they could. From discounted sheet music to simply spreading the word, such friends in high places began to pay off. The orchestra’s first performance was at the Optimist Youth of Excellence Awards, presented in March by the Optimist Club of Greater Vienna. Thinking it’d be a good test run for their next concert, which is this Saturday, Martz brought a chamber set that sight read the club’s pre-selected music on the spot. “We weren’t expecting any pay and the club cut us a check at the end, so it was kind of an eye opener that made me think, ‘Wow, this can really happen for us,’” said Martz. Both the Kennedy Center’s Millennium Stage and D.C.’s National Theatre have hinted at potential breaks depending on the quality of Saturday night’s performance at the Redeemer Lutheran Church, at which representatives from the two venues will be present with open ears. “The closer we come to the big show, the more serious I’m seeing us become. I keep thinking to myself, ‘OK, the Kennedy Center is going to be there, the National Theatre is going to be there and we’ve only got this one shot,’” said Martz. Sixteen-year-old Matt Baker met Martz through marching band at Marshall and commended him on his ability to lead, saying that while there’s tweaking to be done, they’re sounding exceptional overall thanks to the conductor at hand. Sarah Hoover, 17, agreed. “Matt lets you say whatever you want to say at practice, which is very different from being afraid to speak up in school. Not to mention, we’re playing more modern music instead of the likes of composers who’re all dead,” said Hoover. When asked whether or not he’ll pursue teaching music after he graduates high school this summer, Martz said he’s entertained the thought but hasn’t settled on a major. However, if he did become a teacher, he said he’d focus more on what the students wanted to play. “I think band directors see their style, how they do things, but they’re missing the fact that everyone’s musical style differs. Exposure to all varieties of music is what kids really want,” said Martz. 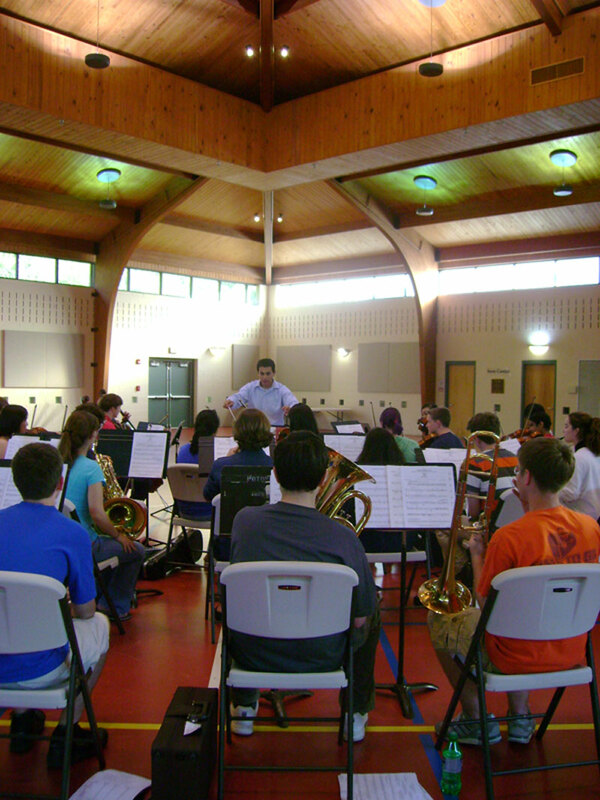 • The Student Symphonic Orchestra of Fairfax will perform a free concert open to the public this Saturday, May 2 at 7 p.m. at Redeemer Lutheran Church, located at 1545 Chain Bridge Road in Fairfax.